Description: An ultra-moisturizing perfumed hand cream formulated with the beautifully attractive scent of a best-selling fragrance. Enriched with shea butter and many active ingredients to leave your hands silky smooth and moist all day long. Many of you are probably frowning at the fact that these hand creams are perfumed but let me be honest the scent is very mild I mean it is NOT overbearing at all. Currently I am using the Wicked Rose hand cream and I really like it, the formula is nice and thick and it really moisturizes my skin because having dry hands is not cute. I love the size of these hand creams because I can just throw it in my purse and head out the door. These hand creams are easy to apply and I just keep it handy in case I need to reapply throughout my day. [Side note] with the holidays coming up in a few short months this would be a great gift set. 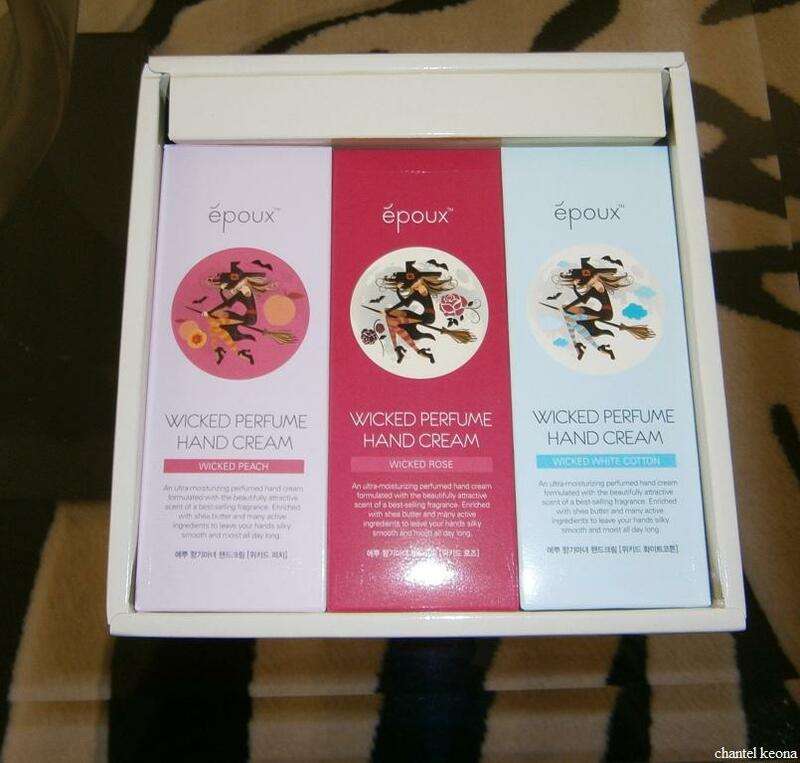 I recommend these hand creams to everyone they are affordable and amazing it is a win-win! What is your favorite hand cream(s)? Let me know in the comments.